Of course there is no herbal remedy that can cure depression but there are herbs that can be used to help relieve its symptoms at least temporarily. 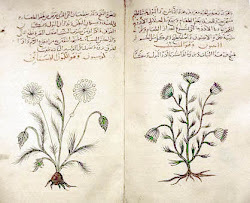 Certain herbs such as roots when either cooked or prepared as tinctures may be very strong and greatly assist In the treatment of depression. But the cure for depression can only come from within the person who is suffering from it. Here I would like to make a simple list of herbs that can be used in a tea form to improve a person's mood. It is very interesting to note that most of the herbal teas which are used to improve a person's mood are also hers that can are used for problems of the digestive system. Here I will make two separate lists one under supermarket and one under health food store. Because you are going to buy these in the supermarket they are probably already bagged drink them at least twice or three times a day. For these herbs add one tea spoon of herb to one cup of boiling water, cover and let it steep for five minutes, strain and drink 2 or 3 times a day.